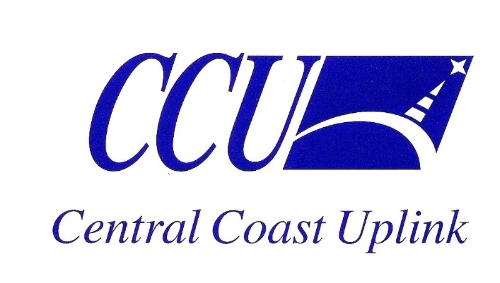 Exciting news going into 2019 as CCU continues with a passion into its 15th year providing unsurpassed reliability and affordable KU satellite services and video production options to a growing list of incredible customers here in the SF bay area and beyond. ZERO reverse power these days! Besides Steve'’s entrance as a back up operator we are keeping busy with day to day operations and also exploring further options to expand our IPTV capabilities. We all believe that providing relaible temporary satellite internet services is our future and we and our partners are committed to keep those options affordable to you our client. So why not book your next IP event with us? We say, "it is what it is"
Bottom line for us is a continued commitment to keep our UNIT running perfectly, staying avaialble/affordable for our 500+ clients, no matter what. upcoming News, Sports & Corporate events?.. CCU remains your reliable option for all things satellite and video. Please reach out with any and all requests for service. We also do HD quality Video productions most days and package camera and truck deals regulalry. excellence beyond your expectations in 2019. YES its winter which means allot of coverage in not always the best of weather conditions. 2019 Nor cal. 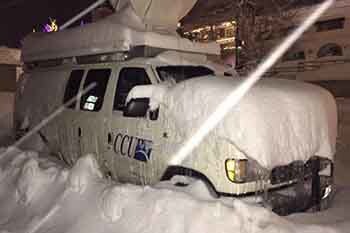 weather coverage keeps us knee deep in fluffy white stuff. Proud to be the feed truck for the ingauration of Galvin Newsom in Sacramento a few weeks back. We love new clients and stomping in Sactown. You are receiving this email because of your relationship with central coast uplink. Please reconfirm your interest in receiving emails from us. If you do not wish to receive any more emails, you can unsubscribe here.